This? 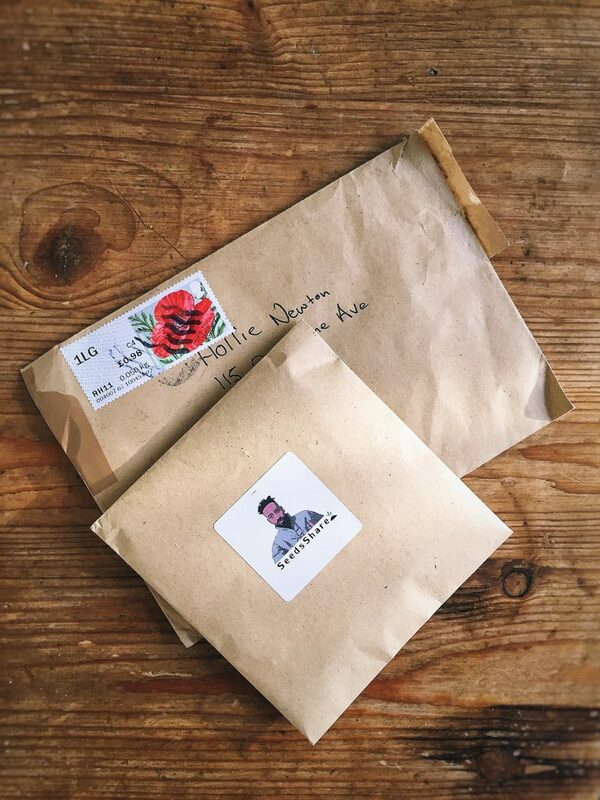 This right here is the most exciting little envelope to land on my doormat in a long while – a carefully filled packet of organic seeds from Seeds Share. 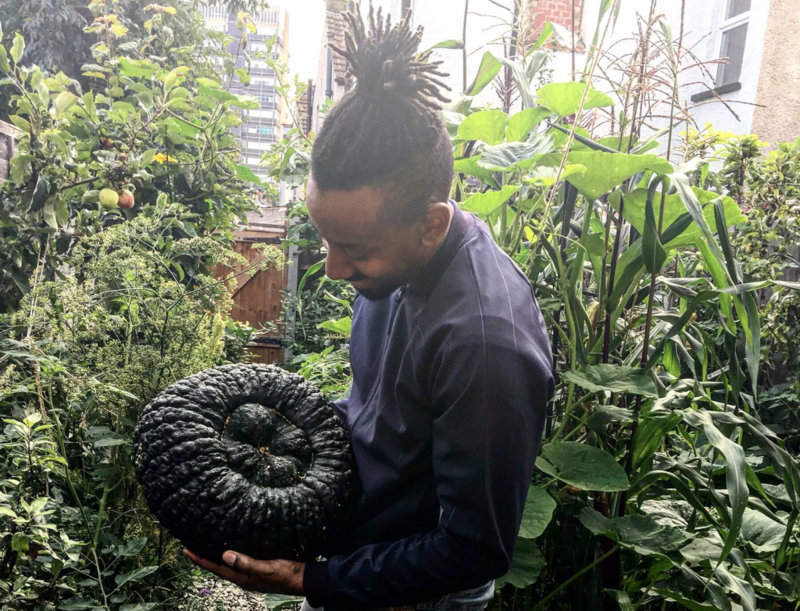 Founded last year by Esiah Levy, Seeds Share’s mission is very simple: to allow everyone to grow food for free. Whether you’re a member of a community garden or lone gardening wolf all you have to pay for is a stamp. Organic, mainly heirloom, irresistibly unusual varieties of vegetables and fruit FOR FREE. If, like me, most of your daily decisions are based around what you eat, this is nothing short of a horticultural miracle. Here’s Esiah below, gently cradling a giant squash as though it were a giant warty baby. I think I’m a little bit in love with him. Highlights from my packet of joy include, from left to right: a Turban Squash so beautiful that I may well wear it as a hat, a Marina Di Chioggia Squash with bright yellow flesh perfect for roasting, and Double Red Sweetcorn (second from the left) – truly, an Instagramer’s dream. As well as requesting seeds from Seeds Share’s seed bank, seed donations are gratefully received. What a fabulous enterprise. Now do excuse me, I’m off to plan my squash bonnet.